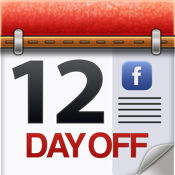 Keep track of holidays, birthdays and events around the globe with the Calendar & Holidays Pro App from timeanddate.com. Helps you find the most suitable time for web-meetings or business calls, business trips, birthday greetings and vacations. Includes extensive information about holidays worldwide. CALENDARS – View calendars for any month or year from 1950 to 2049. Choose your favourite design and content (e.g. week numbers, first day of the week). DAYLIGHT SAVING TIME – Find out if and when your selected countries switch between standard time and daylight saving time. • Are offices, banks or businesses open or closed? • How is public life is affected? • How and why is this holiday celebrated or observed? ADD YOUR OWN EVENTS – Add notes, birthdays, private holidays or any other event. SUN & MOON – Includes information about moon phases, solstices and equinoxes worldwide.